Value priced below the market average! 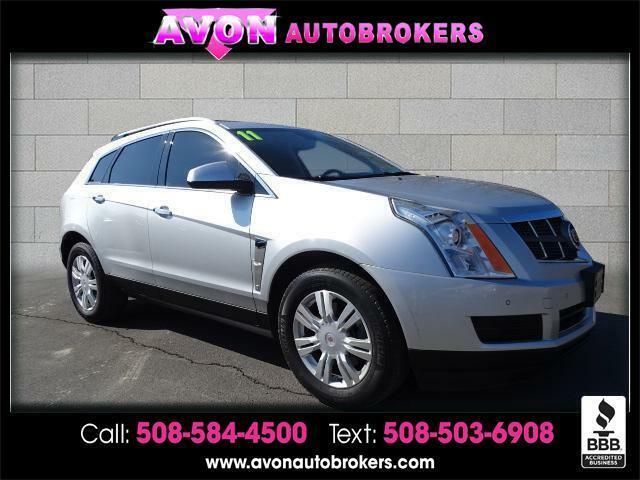 This 2011 Cadillac SRX Luxury Collection, has a great Platinum Ice Tricoat exterior, and a clean Ebony W/Titanium Accents interior! -Only 79,701 miles which is low for a 2011 ! This model has many valuable options -Leather seats -Navigation -Backup Camera -Sunroof -Panoramic Sunroof -Bluetooth -Satellite Radio -Heated Front Seats -All Wheel Drive -Auto Climate Control -Security System -Parking Sensors -Garage Door Opener -Parking Assist -Power Locks -Keyless Entry -Power Windows -Rain Sensing Wipers -Steering Wheel Controls -Cruise Control -Leather Steering Wheel Automatic Transmission -Tire Pressure Monitors On top of that, it has many safety features -Traction Control Call to confirm availability and schedule a no-obligation test drive! We are located at 159 Memorial Drive Rt.28, Avon, MA 02322.